He obtained his diploma at the Conservatory of Piacenza under the guidance of Ernesto Schiavi. 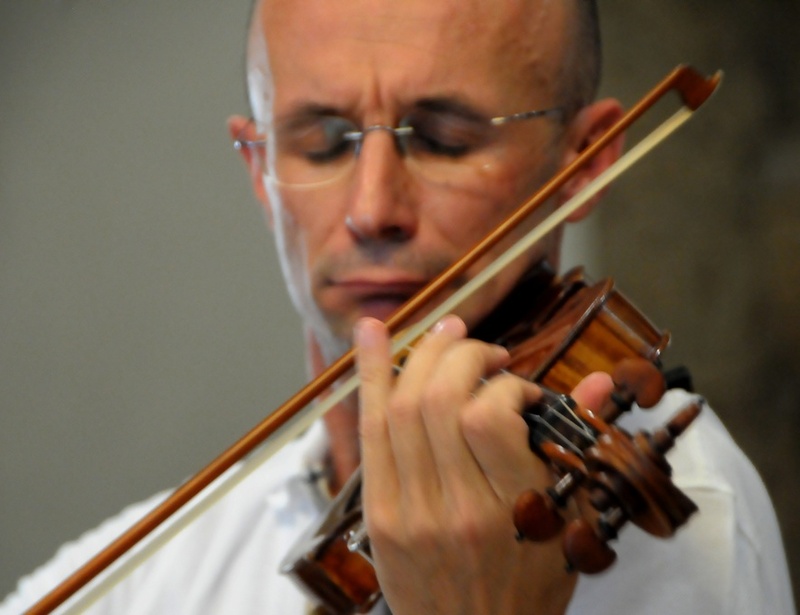 Since 1988 he has been concertmaster for “La Camerata di Cremona” and for the Orchestra Filarmonica Italiana, Piacenza. He also plays chamber music with “I Solisti di Cremona” and with the Amati String Quartet in Verona, with whom he has played abroad at several concert halls such as the Mozarteum in Salzburg and the Philarmonic Concert Hall in Saint Petersburg. He has recorded for Frequenz, Discantica, and Foné and was awarded the top rating by the magazine “Musica” for his recordings of music by Monteverdi and Rota (Nonetto). Antonio De Lorenzi is currently a “prima parte” of the Orchestra Symphonica d’Italia (L. Maazel, music director), with whom he has toured and performed in the most famous concert halls of New York, Chicago, Tokyo (and ), Paris, Lucerne, Budapest, and Moscow, under L. Maazel, G. Prêtre, Z. Mehta, Y. Temirkanov, K. Masur, E. Inbal, C. Dutoit, and M. Rostropovich.